- Just push the on/off switch to turn them on! 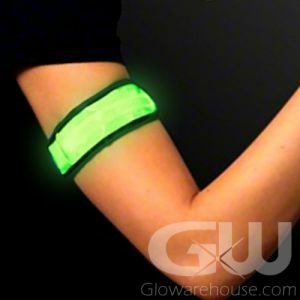 - Official Size and Weight Glow in the Dark Volleyball! - Play All Night Long with a Lighted Volleyball! 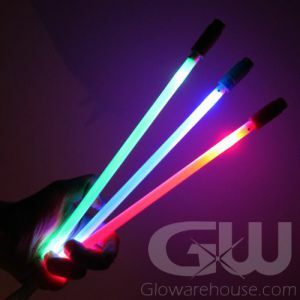 Play beach Volleyball all night long with our awesome LED Glow in the Dark Volleyballs. 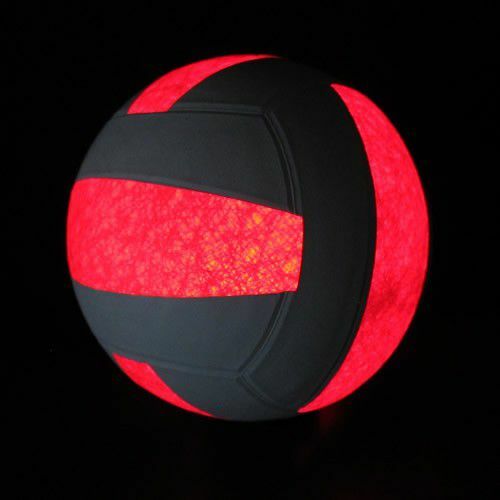 Our Glowing Volley Ball is an official size and weight 18 panel volley ball that lights up! All you have to do is push the button on the LED Volleyball to activate! Light Up Volleyballs are great for fun and games on the beach, camping, at backyard parties or even for Volleyball tournaments. Note: To let the LED lights shine through the Volleyball surface, these LED Volleyballs do not have extra leather padding like a regular Volleyball. Glowing Light Up Volleyballs are a bit harder than a regular Volleyball and should be served and hit accordingly. 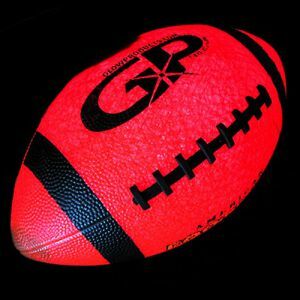 The great advantage of LED Volleyballs compared to traditional glow in the dark sport balls is that LED balls are a lot brighter and don't dim during play. And with LED Volleyballs you don't have to "charge" them in the light before you play and with our long lasting batteries you can easily play all night with a consistent bright light. Plus these bright lighted volleyballs have replaceable batteries so you can use them again and again! 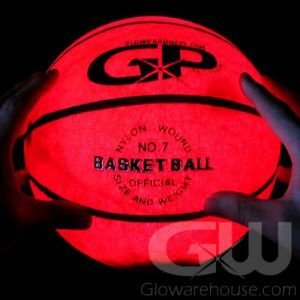 And Glowarehouse.com Light Up Volleyballs are Push Button Activated, not "impact" or "kick" activated that have a timer that can randomly turn the ball off on you. Just push the button to turn it on and when you have finished playing push the button to turn it off - You have the control! 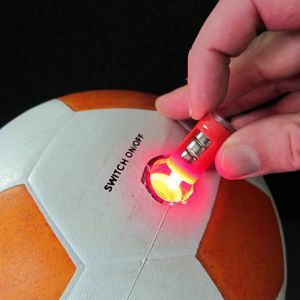 To operate, push the power button and watch your sport ball illuminate and when you're ready to stop playing, push the button again to turn it off! Included with each Light Up Volleyball is an additional LED light and battery unit. To replace the unit, use a flat blade screwdriver to unscrew the button of the LED ball, pop it out and replace the existing insert with the new one. Our Glow in the Dark Volleyballs are Official Size and Weight 18 panel volleyballs.